Are you a student from Sub-Saharan Africa with demonstrated academic talent and personally committed to giving back to your country, but face significant economic barriers? Then you are invited to apply to The MasterCard Foundation Scholars Program. The University of Toronto and The MasterCard Foundation are pleased to offer The MasterCard Foundation Scholars Program at the University of Toronto to develop Africa’s next generation of leaders. Thanks to the Foundation’s visionary support, U of T can now provide 67 African students with one of the world’s top-ranked educations—in one of the world’s most multi-cultural cities. This offer will span the next ten years beginning 2013/14 until 2023/24 academic year. Applications for the 2017/18 AY begun in September 2016 and ends December 2016. The MasterCard Foundation Scholars Program is open to you if you are a resident and citizen of a Sub-Saharan Africa country. You must be a first-time applicant to the University of Toronto who has not yet begun university study elsewhere. If you are a transfer student, you are not eligible for the Program. Please note that both academic and English requirements differ based on the country and educational system you are coming from. First-entry undergraduate programs in either the Faculty of Arts and Science; or the Faculty of Applied Science and Engineering. For a list of available programs of study to choose from, please visit the Faculty of Arts and Science’s Prospective Students website and the Faculty of Applied Science and Engineering’s Discover Engineering website. Total of 67 scholarships will be offered throughout the life of the program. If selected, you will receive a scholarship equivalent to the costs related to attaining a Bachelor’s degree, including travel, tuition, textbooks, housing, food, and living expenses. The program includes two unpaid internships. The first will take place in the Toronto area for three months during your second summer to provide local practical work experience and skills. The second internship will take place in Africa during your third summer. This scholarship opportunity is available for the St. George campus in first-entry undergraduate programs in either the Faculty of Arts and Science or the Faculty of Applied Science and Engineering. A completed online application – all applicable sections must be filled out, including contact information, financial information, personal details and responses to essay questions. Financial documents – upload a scanned copy of financial documentation. Transcript – upload a scanned copy of your secondary school transcript and any other academic information. Two references – provide the names and contact details of two individuals who will serve as your referees. We will contact your referees directly and ask them to submit their letter of reference through a secure website. It is important to visit the official website (link to it is below) for complete information and application. The application for admission and scholarship for the 2017-2018 academic year begins September 2016 AND closes on 10 December 2016. The MasterCard Foundation Scholars Program opens up boundless opportunities for young Africans from economically disadvantaged communities, but with academic talent, potential to lead, and motivation to make a difference. As U of T graduates and global citizens, they will return to Africa with the tools to change lives within their communities and across borders. The Program supports four-year programs in the Faculty of Arts and Science and the Faculty of Applied Science and Engineering for students from Sub-Saharan Africa. It is not available for graduate programs at U of T.
If you have any questions about The MasterCard Foundation Scholars Program at U of T, you may want to contact the school. 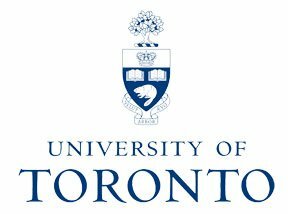 Hi Katherine am also interested in studying in U-toronto please I also need your help.You can mail me justiceebenezer4@gmail.com. Hello Katherina,am Gloria struggling to sturdy at U.Toronto, please help me with the form once it's out.Here is my mail gloriatajaere@yahoo.com thanks.